FREE webinar > Did you know that Pinterest is the newest and greatest tool for sharing pictures on the web. With Pinterest you create your own account (by invitation only) that lets you share your favourite images with others. This means you can share products you have for sale on your website. To find out how to use Pinterest to your advantage more about the target marketing, and to use it for personal use such as organising your images for research if you a property investment, building a house, having a baby, looking for designer outfits, and much more. 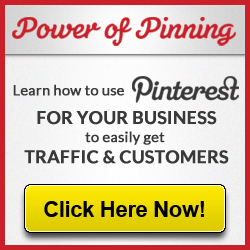 Learn how to use Pinterest for business in this FREE ‘Power of Pinning‘ webinar. During the webinar Melanie will cover some fabulous Pinterest ideas that you can use to get started straight away and if you join me on facebook you can message me to receive a personal invitation from me to join Pinterest. Click here to sign up for the FREE webinar right away so you don’t miss out as numbers are limited and it is quite popular. Melanie has been using Pinterest to generate leads and sales for a few years now and is now making $2 million a year using the methods she teaches in her Power of Pinterest video course. I am in the process of completing this How to Use Pinterest for Business course myself. It offers information for beginners and intermediate users and I highly recommend it in an easy to understand format. 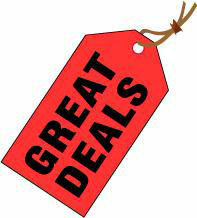 For business owners: Buy from this site and I will give you a SURPRISE BONUS! Just add your comments below on what you think about the course once you have completed it and you will receive a fabulous bonus to help you get your business growing faster. What is Your Customer Relationship Management Strategy? What Are You Doing Wrong As A Manager?